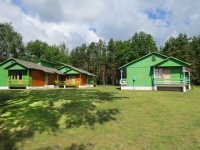 tourist complex Green Club - a picturesque place for a comfortable holiday on the shore of the lake with secluded cottages, fishing, sauna, horseback riding. 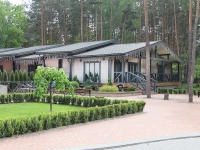 recreation center Nevido well suited for recreation with the whole family or a group of friends at the lake with fishing, a sauna, barbecue. recreation center Protochnoe - a good place for lovers of outdoor activities and fishing. In the territory there is a children's and sports grounds, aviary, You can go boating and water skiing. recreation center Vysoki bereg Nemana - добрае месца з масай магчымасцяў для актыўнага адпачынку і вольнага часу на беразе ракі. recreation center Bez problem - good place for a secluded and active youth recreation with a cafe, fishing, paintball, camping site. tourist complex Beloye will be a good choice for a inexpensive recreation in nature with a lake, beach, fishing, barbecue, a bath. 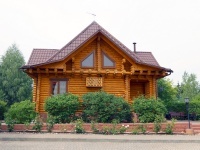 tourist complex Pyshki - comfortable and inexpensive option near the river for a quiet rest and fishing with billiards and sports fields. 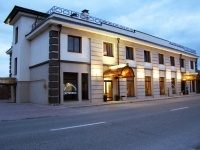 hotel Turov plus - a good choice for living and recreation in Turov with cozy rooms, a cafe, a children's playground. hotel complex Izumrud Krugloe - a good option for recreation and recreation with a swimming pool, sauna, beauty salon, club, restaurant. tourist complex Nikolaevskie prudy - a popular place for family holidays with a beautiful landscaped area and a lot of options for leisure. recreation center Devino - secluded place surrounded by forests for lovers of a relaxing holiday in nature and fishing. hotel complex Rancho - atmospheric place, designed in the style of the Wild West, suitable for active family holidays with a rope town on the territory. 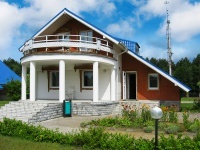 recreation center Bivak - a good choice of rest for families with children. There is a cafe, a children's playground, a sauna, a horse riding area. 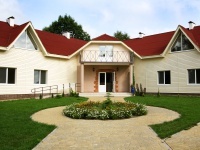 tourist complex Orsha it is popular as an inexpensive option for a holiday with developed infrastructure and the availability of recreational facilities. recreation center Prigodichi - a good option for outdoor activities on the river bank with fishing, sauna, living in cozy rooms and houses. hotel complex Kamenyuki k2 - a good place for a full family vacation in nature with comfortable rooms and well-developed infrastructure. hotel complex Vishnevyi sad - a convenient place for rest of the whole family with a swimming pool, sauna, restaurant, children's playground and children's room. recreation center Yanovo - a good choice for a quiet family holiday and fishing with a sauna, billiards, children's playground. boarding house LODE - a popular place for recreation in youth companies and families with children with numerous leisure activities. 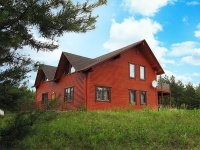 hotel Voitov most - a secluded place for a quiet rest in the middle of nature for a small company or family in comfortable rooms. 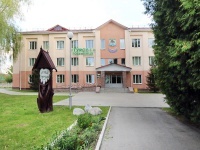 hotel complex Zharkovschina - a cozy place on the territory of the Belovezhskaya Pushcha for active and cognitive rest with sauna, bike rental, riding on a cart. tourist complex Braslavskie ozera - a roomy place for a serene reast in the bosom of nature with a developed infrastructure. For living there are both rooms in the building, and secluded cottages. recreation center Checheli - a cozy place in a pine forest with a variety of infrastructure for active family rest. recreation center Krasnogorka - a good option for recreation with children on the shore of the lake with bright houses for living and developed infrastructure. tourist complex Logoisk - a good place for outdoor activities with ski slopes and a rope town on the territory. Suitable for holidays in the company and with the family. tourist complex Priroda Lux - comfortable lodges for the rest of the whole family or company with fishing, a bath with a mini-pool, billiards. hotel complex Braslav Lakes a comfortable and quiet rest by the lake with its own private beach, restaurant, fishing. hotel complex Serguch - a good place for active and cognitive recreation in a reserve area with a rope town, horse walks, a museum and other numerous options for leisure activities. hotel complex Strumen - a good place for rest and fishing on the river bank with exotic for Belarus - camels in open-air cages. 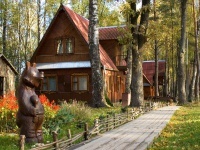 hotel complex Kamenyuki - a popular place for rest with children on the territory of Belovezhskaya Pushcha with a swimming pool, sauna, aviary, excursions. recreation center Lyesnaya Gavanj - agood choice for a family holiday in the lap of nature in comfortable rooms and bungalows with a swimming pool on grounds. tourist complex Rinkavka - a picturesque place near the city of Brest with a developed infrastructure for family recreation. recreation center Zolovo - comfortable cottages in a picturesque location right on the shore of the lake for a full family vacation. 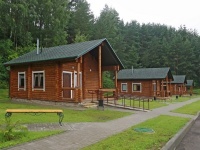 tourist complex Vysoki bereg - comfortable rooms and cottages in the middle of a pine forest with developed infrastructure for a quiet and active rest. 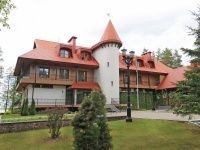 hotel complex Ogonek Volma offers several buildings with comfortable rooms and apartments for living, as well as a banquet room, sauna, solarium, billiards for a full rest. hotel complex Plavno GK located in a picturesque place by the lake on the territory of the reserve and offers comfortable rooms and rich infrastructure for a family holiday. tourist complex Dudinka City - a good option for recreation with children in the bosom of nature with a children's playground, a bathhouse, aviarys. hotel complex Nad Pripyatyu - a good choice for a full rest in the national park with a developed infrastructure. hotel complex Pansky maentak Sula - an atmospheric place for a country rest, designed in the style of Belarusian manors of the 18th century. On the territory there is a pond, a stable, a helipad. recreation center Nivki this is a comfortable house surrounded by forests, well-groomed territory and developed infrastructure for a quiet secluded holiday and fishing. recreation center Leoshki - a secluded place by the lake for serene rest and fishing in comfortable conditions. 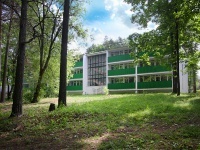 recreation center Milograd is suitable for families with children and for recreation. There is a swimming pool, a children's room, a beach. hotel complex Vesta - perfect for fans of outdoor activities and those who prefer to spend time with health benefits. recreation center Drivyati - beautiful location in the national park with a variety of infrastructure for active and curious tourists. A good option for recreation with children. tourist complex Doroshevichi this is the place for a full active and family holiday on the river bank with the possibility of walking on motor ships. 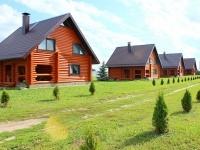 recreation center Siabry located near to Minsk and offers comfortable cottages for living and developed infrastructure for family recreation. hotel complex Chalet Greenwood - a good option for a full rest of the whole family with comfortable rooms and developed infrastructure. tourist complex Shishki has comfortable cottages on the shore of the reservoir and a rope town, a laser tag, paintball for active recreation. 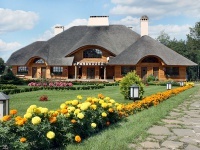 hotel complex Robinson Club it is a luxury vacation on the shore of the reservoir near Minsk with comfortable rooms and cottages, a swimming pool, a beauty salon, a helipad, and a rental of yachts. 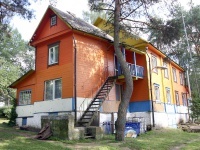 tourist complex Nanosy - a colorful place for relax on the shore of lake Naroch with houses decorated in ethnic style, stables, a mill, museums.